Kadie: I am an ICU nurse and I’m also a flight nurse in the Air National Guard. Jerrick is a special education paraprofessional in a high school and a football and track coach. We met shortly after my return from a deployment in 2010. We were introduced through a mutual friend who thought we would get along well because we have a similar sense of humor. On our first date Jerrick and I realized we had something unusual in common. Being a football coach, he high fived me. I’ve never been high fived on a date. So I guess you can say it was love at first high five. Kadie: After Jerrick proposed we opened up a bottle of champagne that I had bought in France shortly before I met him. I had been waiting for a special occasion and now I had one! After we toasted and we were sipping our champagne he said with a smile, “Disney wedding?” I started to laugh and I confessed to him that I had been looking up information on DFTWs on my laptop but I would always clear my search history so when he was on it he wouldn’t see it. 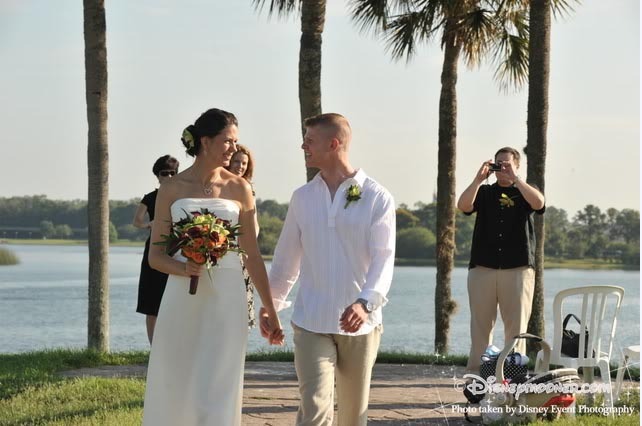 We had been talking about getting married in Florida and having a honeymoon at Disney but it just seemed so perfect for us to have our wedding and honeymoon at the same magical place. Kadie: When we were calling our families to tell them we were engaged, one of my sisters and his sister both said, “will there be a Disney wedding?” It seemed like it was meant to be but we weren’t certain if the rest of our family would be able to afford a vacation plus all the expenses that go along with a wedding (attire, gifts, etc). We promptly made our guest list which comprised of immediate family only and talked about it with everyone we wanted to invite. They were all excited about it and particularly appreciated having a year to plan and save. 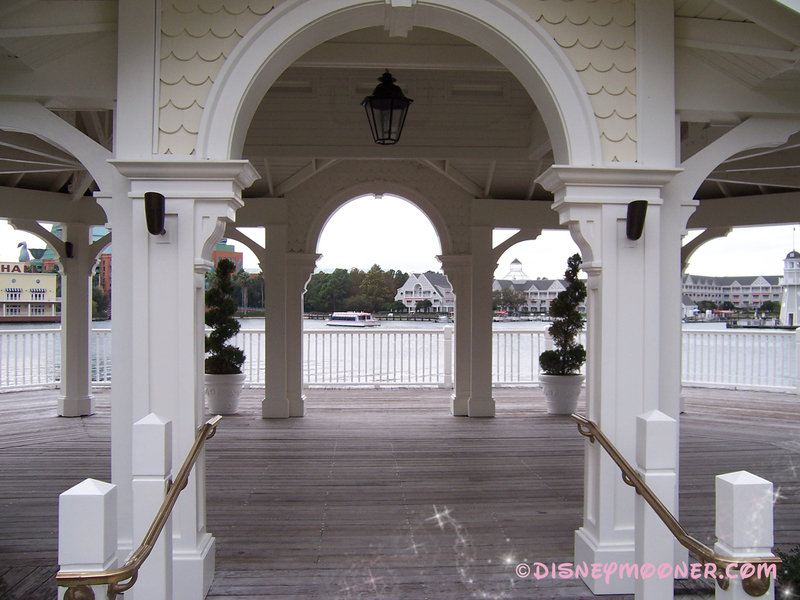 Disneymooners: Any special reason why you chose your locations? Kadie: We will have 18 people at our ceremony, including us, and we love the intimate feel of Sea Breeze Point. We also like the style of the Boardwalk and the view is incredible too. 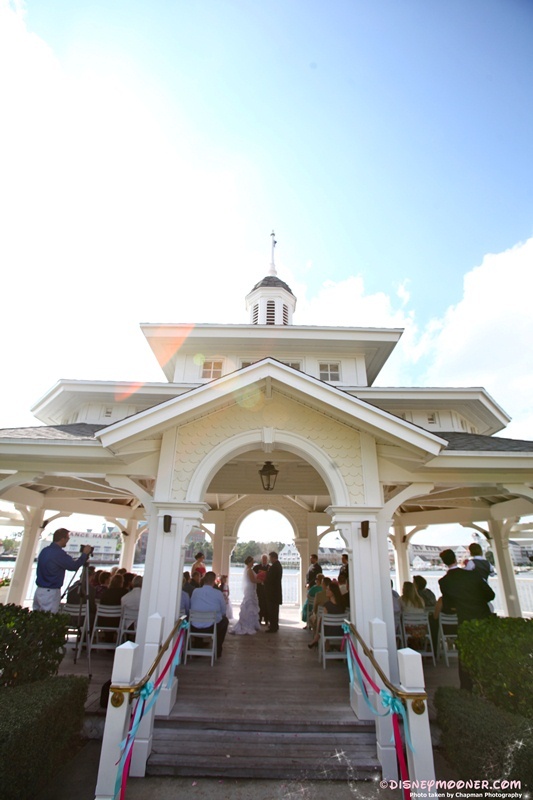 Disneymooners: Many brides pick a Top 3. These are components that are a non-negotiable. Chiavari chairs, lots of floral, lobster, etc. Tell us about your Top 3. Kadie: We do have some surprises planned! We are having Mickey & Minnie attend our reception and we would like to have a dessert party at Epcot to end our fairy tale day. 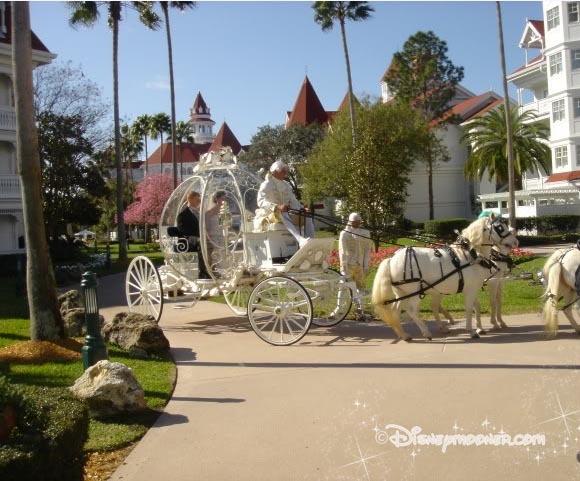 Disneymooners: How has your planning experience with Disney Fairy Tale Weddings been thus far? Kadie: Since I’m an Escape bride I cannot officially book until 8 months prior but what contact I have had with DFTW has been very positive. Kadie: I love the simplicity of the Escape package but the planner and creative person in me wants to have fun with enhancements. After I received the initial Escape package paperwork from DFTW, it was challenging to find out more information and details about the enhancements and other options. Until, of course, I joined Disneymooners! 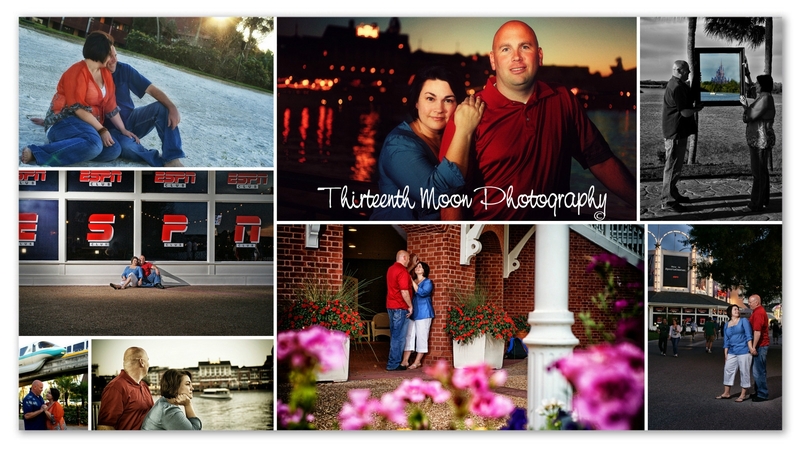 When it’s time to book my wedding I will be fully prepared thanks to the Mooners. Disneymooners Budgets are very important to all of us. Do you have a favorite budget tip that you’ve used and can you tell how it’s helped you? 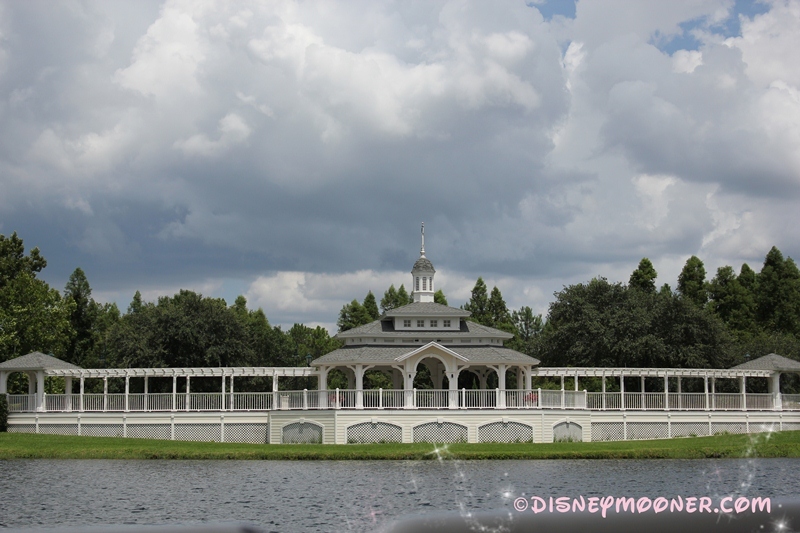 Kadie: I purchased Carrie Hayward’s e-book, PassPorter’s Disney Weddings & Honeymoons. The book has quite a bit of helpful information and it has a budget worksheet included. I had an idea of how much we would be spending on our fairy tale wedding but actually writing it down really has helped us focus on where we wanted our money to be spent. Kadie: The Escape package is certainly affordable especially when you compare it to what a more traditional wedding costs. However, we didn’t start with an exact budget in mind. We started with the Escape package because we knew we could afford that and then discussed if we could afford to add on a couple of enhancements. Disneymooners: Do you have any fun splurges planned for you trip that you’re excited about? Kadie: We’re really excited about our character visit and dessert party on our wedding day. We are looking forward to seeing our guest’s faces when they see Mickey & Minnie arrive at our reception. And we know that none of our guests have seen Illuminations and that is such an incredible show. 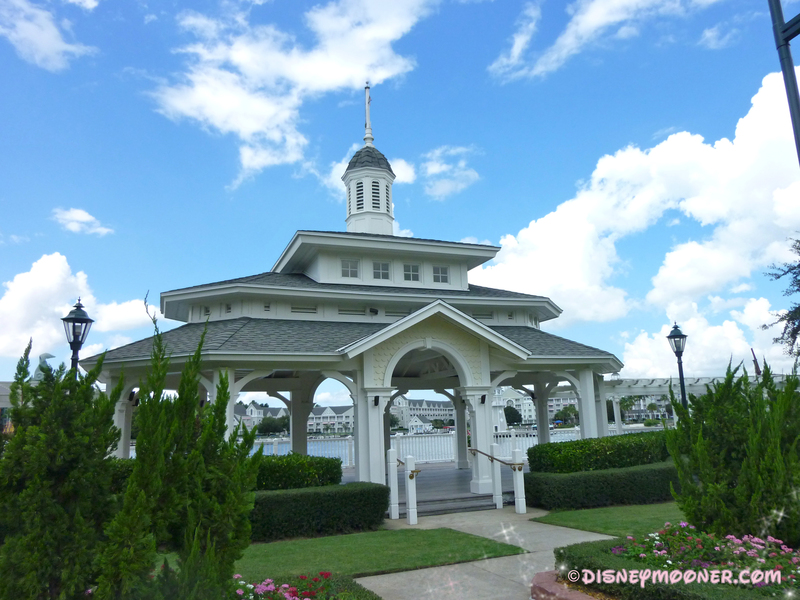 Disneymooners: You have a Planning Journal in progress on the forums; have you found that to be helpful in your journey? Kadie: I have a planning organizer primarily to help me keep contracts and information about our wedding and hometown reception. It has been very helpful, however, to keep a planning journal online because my thoughts and ideas are all in one place and I have received great feedback and ideas from the other Disneymooners. Kadie: First and foremost, I am looking forward to marrying my great love. I am also looking forward our families being together at the most magical place on earth! Kadie: Being a member of Disneymooners has been such a rewarding experience. I appreciate everyone’s advice and tips on creating a magical DFTW. I also enjoy the camaraderie that is among all the members.